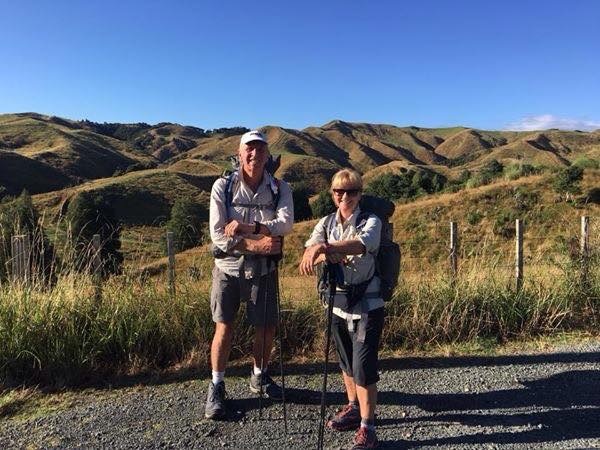 Nancy and John have completed the first leg of the Te Aroroa Trail – the greatest New Zealand adventure there is – from Cape Ringa to Wellington! After walking no less than 1700kms, they marched into Wellington, arriving on the 26th March and John’s 66th birthday – what an achievement!! How many days, weeks, months of walking…..blisters….and more walking since mid-December 2016 to the end of March 2017? Congratulations to both Nancy and John on this amazing accomplishment. We are so proud of you! The Champagne corks are popping and we can’t wait to see you again! !